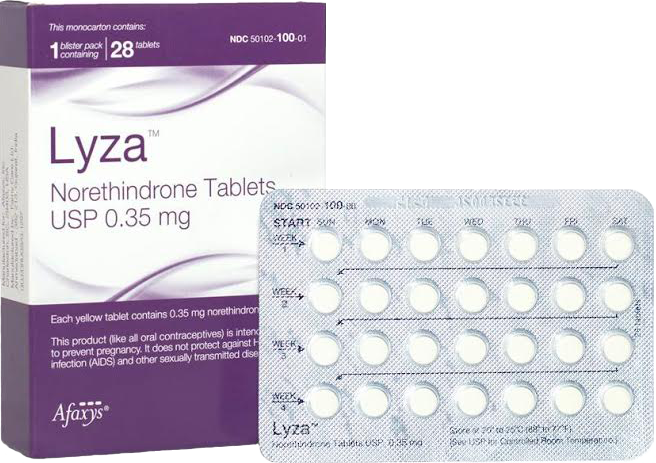 Errin® birth control falls under the category of a progestin-only medication. When you hear most people refer to ‘the pill,’ they are typically referencing the combination pill which has both an estrogen and progestin component. The mini pill however does not contain estrogen and contains a low dose of progestin. Errin® birth control is still effective in preventing pregnancy however as long as it is taken just as directed. Each pill pack of 28 contains medication that must be taken at the same time each day. While taking combination birth control pills at the same time each day is important, it is even more important for women taking the Errin® mini pill to stay on a regimented schedule. This is because the progestin pills create changes in a woman’s body that only last for 24 hours. For instance, one way that mini pill birth control brands work is by thickening the vaginal mucus. This makes it harder for sperm to reach the egg. This effect of the pill however stops after 24 hours so it’s imperative that the pills be taken at the same time each day in order to maintain this intended safeguard against pregnancy. The main reason a woman might choose the mini pill over combination pills is that she cannot tolerate estrogen or she is breastfeeding. It’s common for women to want pregnancy prevention after having a child, however, the estrogen in many pills can be damaging to the baby while she is breastfeeding. For this reason, Errin® birth control is ideal. Progestin side effects offer effective prevention against pregnancy in two ways. As noted above, vaginal mucus becomes thicker. In addition to this, the cervical lining also becomes thicker, making it more of a challenge for a fertilized egg to implant into the wall. The main difference between Errin® and combination pills is that combo pills prevent ovulation in nearly all the women taking them. The mini pill however only stops ovulation in about half of the women taking it. This is why it is not as effective in preventing pregnancy. However, the rate of success is highest in women who are only breastfeeding, still have not had a period and are taking the pill as directed. Their percentage of effectiveness is nearly 100% in the six months since the birth of their child. While some women opt for barrier methods and other birth control methods, hormonal contraceptives are highly effective in preventing pregnancy. Erin birth control breastfeeding is a great combination many leading organizations are in agreement that the mini pill will not cause harm to the baby by impacting weight gain, health or development. The same amount of breast milk production typically occurs in women and only very small amounts of progestin pass from mom to baby. One of the many birth control facts that is often misunderstood is that your fertility will not be impacted long term. While some doctors may recommend waiting for one of more regular periods after discounting Errin® birth control to start trying, you can theoretically become pregnant and any point after you stop taking the mini pill.